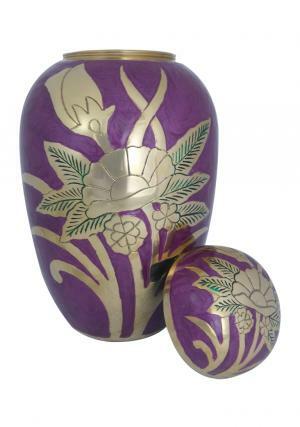 Dome Top Golden Flower Purple Adult Urn for ashes will make a perfect memorial present to honor the demise of loved one’s ashes. 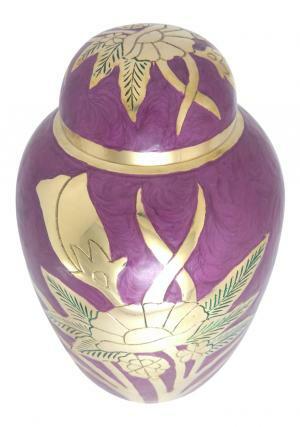 The Adult memorial large urn decorated in purple with brushed gold engraved beautiful flowers. 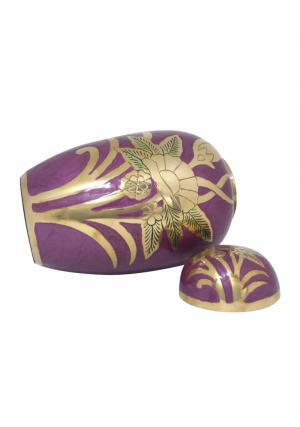 The lid is in the form of mounted dome top decorated in gold and purple enamel in flowers. 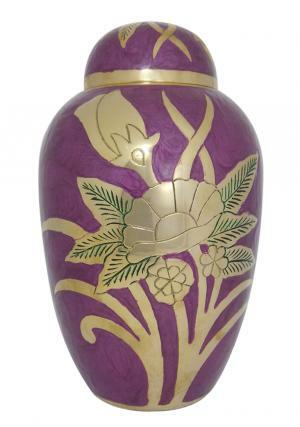 The ashes of the Human are decorated in the urn with secured screw threading of the loved one’s ashes. 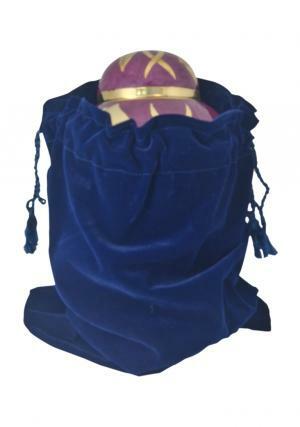 Dome Top Golden Flower Purple Adult Urn has the dimensions to measure ashes of the adult human approximately 200 cubic inch that weighs 2.3 kg, 10.5 inch height and 6.4 inch width.